Can you play 50 songs in 10 weeks? 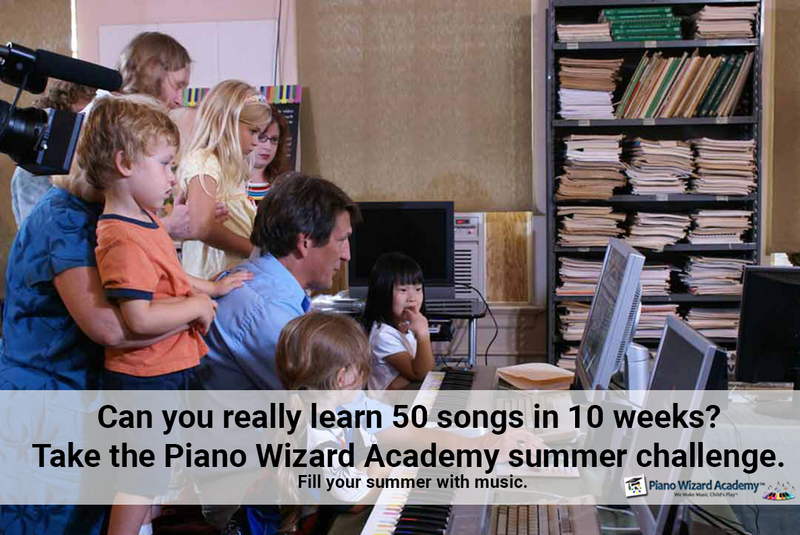 Take the Piano Wizard Academy summer challenge. Why struggle to play piano when you can simply play it? 4-step color coded method magically transforms the learning experience into a fun video game. Piano Wizard Software comes with 200 songs to learn to play. But did you know that Piano Wizard is infinitely expandable? What songs would you like to play? Piano Wizard Software comes with 200 songs to learn to play. But did you know that Piano Wizard is infinitely expandable? Here’s how to add more songs.